I first saw Jacob Banks perform in December at the ‘Ed N Kev’ show in London and since then I've been a fan ever since. Now he's featuring on Wretch 32's follow up single ‘Doing OK’. Wretch 32's single ‘Blackout’ has been a huge success on the charts - the song which featured Shakka is the lead single off Wretch's third studio album. Jacob Banks sings on the hook of this new feel good inspiring song from North London's very own. 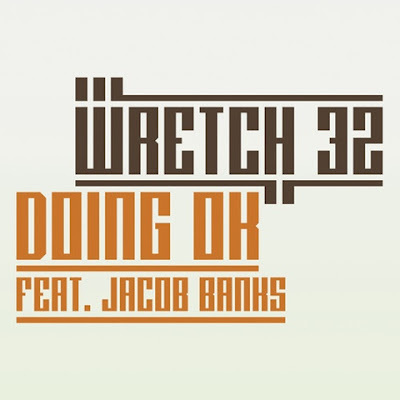 As we anticipate the release date and name for Wretch 32's new album - check out this West African beat track ‘Doing OK’. August 18 will see the release of ‘Doing OK’ via Ministry of Sound/Levels Recordings. Wretch 32 also goes on his UK tour this October through til November - tour dates HERE! And will be performing at Wireless, Reading, Leeds, Oxygen and Isle of Man Festival this Summer to name a few!